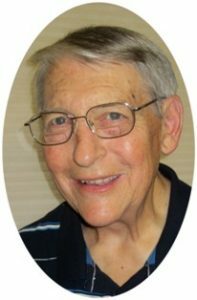 Paul W. Jushka was called to eternal peace on Sunday, December 11, 2016. Paul grew up in Port Washington, Wisconsin, and after being away for college and career, it was his wish to return to his hometown. His grandparents emigrated from Lithuania to Port Washington in 1913, and Port has been home to the Jushka family since that time. He and his wife moved back to Port in 2013, and have enjoyed living in the city. Mr. Jushka was born at St. Alphonsus hospital in Port Washington on April 23, 1944 to Anthony and Anna Ruth Conrad Jushka. He attended St. Mary’s Catholic School and Port Washington High School, graduating in 1962. A favorite memory of his from his high school years was an exchange trip to Colorado on the train with some of his classmates. After working for a year after high school, he attended the University of Wisconsin-Stout, graduating in 1967 with a degree in technical education. He was employed by the Sussex-Hamilton School District where he taught driver’s education and technical education at the high school and middle school, retiring from there in 2001 after 34 years of dedicated service. Paul also served as the Hamilton district safety coordinator, and was a board member and past-president of the Wisconsin School Safety Coordinator’s Association. He was also active in the Wisconsin Driver Education Association for many years. He married Carol Ann Popp of Oconomowoc, Wisconsin on December 27, 1969, and they raised two sons, Christopher and Jeffrey, while residing in Sussex. In the Sussex community, Paul was active in the Sussex Jaycees, the Sussex Volunteer Fire Department, and in the little league program, coaching during the years his sons played. He enjoyed pheasant and goose hunting, and was a great cook. Watching the Brewers, Packers, and Badgers play also gave him much enjoyment. His favorite travels were to Hawaii for his son’s wedding, a land-sea cruise to Alaska, and as part of an aerospace class that traveled to NASA with VIP seating for a shuttle launch. Paul was a hard worker, and was at his best as a wonderful son, husband, father, grandfather, brother, and friend. Mr. Jushka is survived by his wife, Carol, and sons Christopher (Andrea) of Port Washington and Jeffrey (Amanda) of Janesville. He will be remembered fondly by his grandchildren Ryan Jushka, Lauren Streets, and Logan and Lucas Jushka. He is further survived by his siblings, Peter J. Jushka (Marilyn) of Batavia, IL, Pamela A. Westfahl (Philip) of Port Washington, Mary Pat Eshleman (Lindley) of Littleton, CO, Thomas J. Jushka of Waukesha, and sister-in-law, Susan Jushka of Port Washington. Also, surviving him are his aunts, Charlotte and Jacqueline Jushka of Port Washington, and Elaine Conrad of Barrington, IL; sister-in-law, Diane Gasper (Howard) of Arizona, and brothers- in-law Maynard L. Popp (Glenda) and Donald Popp (Jean) of Oconomowoc, WI, David Popp (Tami) of North Carolina, and Warren Popp (Paula) of Appleton, WI, and many relatives and friends. Paul was preceded in death by his parents Anthony and Anna Ruth Jushka, and by his brother Richard Gene Jushka. The Rev. Patrick Wendt will celebrate Mass of Christian Burial at NOON on Saturday, December 17, 2016 at St. John XXIII Catholic Parish, St Peter’s Church, 1800 N. Wisconsin Street, Port Washington. Visitation 10:30 am – NOON Saturday AT CHURCH. In lieu of flowers, memorial donations made to the Port Washington Historical Society, 205 N. Franklin St., Port Washington, or to St. John XXlll Catholic Parish, 1800 N. Wisconsin St., Port Washington will be appreciated. The family wishes to thank Doctor Mark Fitzsimmons, Dr. Moises Garcia, the 2nd floor nursing staff at Aurora Grafton Hospital, and, especially, the staff at the Horizon Lawlis Family Hospice at St. Mary’s-Ozaukee Hospital in Mequon. Mr. Jushka taught me to drive, classroom and behind the wheel at 15 years old. What a challenge that must have been. A few years after school my girlfriend rented an apartment in Sussex and our paths crossed again. In and out of school he was the most kind, congenial, receptive and understanding man ever. I have nothing but good to say about all Sussex Hamilton teachers, but I have the utmost respect for Mr. Jushka. What a wonderful, helpful, patient teacher! Even as a rowdy teen, I had much respect for Mr. Jushka. So sorry for your loss, family. I will be praying for God’s grace to comfort your hearts. Very sorry to here of your loss. Blessings to all of you. We were neighbors of the Jushka family for many years on Michigan Street. Prayers and condolences to the family. So sorry for your loss.Prayers for the family..
Our thoughts and prayers for the Jushka family. Our condolences to the Jushka family. Our thoughts and prayers are with the Paul Jushka family. We are saddened for your loss. Paul was dedicated to the students and staff of Hamilton High School. It was an honor to work with him. Our condolences to the Jushka family on the passing of Paul. He was a friend and dedicated co-worker at Hamilton High School. He will be missed by all who knew him. Paul, – you were home from college over a weekend when I had Scarlet Fever at a very young age. Even though mom told you to stay out of my room, you ducked in and spent some time with me. Years later, I tested your patience when you volunteered to take me out driving before my drivers license test. But I nailed that parallel parking because of you! You were never one to end a conversation with a simple “goodbye”. Whether in person, or on the phone, the words, “God be with you” were always said to your loved ones. Rest in peace dear brother. You will be missed. Carol, Chris, Jeff and families – how proud he was of you. You made him complete! He truly was at his best as a husband, father and grandfather. We share in your grief. Know that he would want you all to be happy, enjoy life, and remember all the good times. God be with you.